The write up by Mr. Anayo Okolie with the above heading, which appeared on Page 73 of THISDAY on Sunday, October 30, 2016 is yet another in the series of half-hearted attempts to discredit the efforts of the government of Governor Okezie Ikpeazu to reposition the commercial town of Aba and indeed the entire State. Without any shadow of doubt and fear of contradiction, the article is a compendium of hogwash. In its totality, it is an unfortunate tissue of lies and a deliberate distortion of hard facts that are verifiable even with a simple and cursory inquiry. While the article is most undeserving of any response on account of its emptiness on specifics and a resort to ad hominem arguments, this response has become necessary in order not to allow people who do not know the truth to be deceived by a desperate and half-baked mercenary masquerading as a writer. 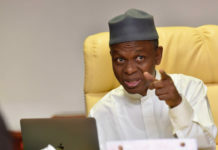 Of a truth, the biting economic recession in the country is dealing heavy blows on lots of people, who have now turned into emergency writers – making themselves ready and available tools for use by frustrated politicians. The ignorance of the writer becomes self-evident even from the start, where in the second paragraph he attempts what is clearly a confused and false definition of Aba and its constituting villages. He speaks of some merger of communities, which exist only in his imaginations. 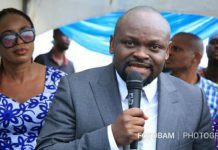 The writer is clearly unaware of the fact that what is referred to as Aba is an amalgam of towns and communities that cut across five local governments of Aba North, Aba South, Osisioma, Obingwa and Ugwunagbo. Geographically, Aba refers to the areas covered from the Osisioma junction in Osisioma Ngwa Local Government Area all the way through the Central Business Areas within Aba North and South Local Government Areas and stretches down to the Spare Parts Market at Alaoji in Ugwunagbo Local Government. It also covers the area all the way down to the Ogbor Hill areas in Obingwa Local Government. Funny enough, the writer does not even know the areas that make up Aba, in the first place. The writer makes a very convoluted and baseless claim that “The city of Aba is also the artery that connects neighboring states like Rivers and Akwa Ibom states (sic). 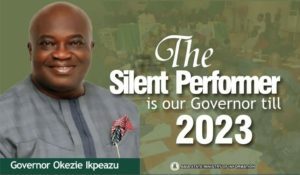 But the deplorable state of this connecting road has brought reproach to the Abia State Government led by Okezie Ikpeazu”. This statement is as false as it can get. First, there is no single connecting road that links Aba with Rivers and Akwa Ibom States simultaneously. 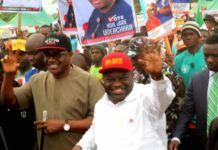 Aba is linked to Rivers State through the Enugu Port Harcourt Highway while it is linked to Akwa Ibom via two roads – the Aba-Ikot Ekpene Highway and the Umuahia-Ikot Ekpene Highway. All these are federal roads under the jurisdiction of the federal government, and so while the governor is deeply concerned about the state of these roads and has been engaging the federal authorities on the way forward, the claim that the roads have brought reproach to the Abia State Government is nonsensical and portrays the writer as extremely ignorant. Anayo Okolie’s distortion of facts becomes even clearer with his blindfolded analysis of developments in Aba ever since Governor Okezie Ikpeazu came into office. 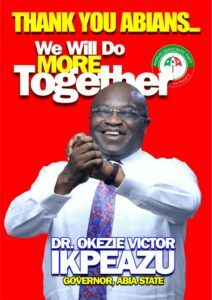 For the avoidance of doubt, it is important to restate that Dr. Okezie Ikpeazu was inaugurated as Governor of Abia State on May 29, 2015. Therefore, any objective assessment of his government must start from that day. The constant references in the article to some “nine years” are clearly a product of mischief designed to obfuscate issues. 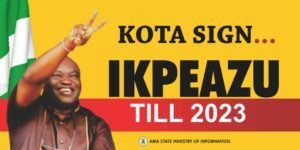 For purposes of public record, let it be known that two days after his inauguration, Governor Ikpeazu was on the streets of Aba kicking off the construction of seven roads. All of those roads had long been completed and commissioned. These roads are Oomne, Kamalu, Umule, Umuocham, ENUC, Umuola and Ukaegbu roads, all in Aba. Former President Olusegun Obasanjo was in Aba in December 2015 to commission Oomne, Kamalu and Umuola roads. This present writer witnessed the commissioning personally. Earlier this year, Sokoto State Governor and former Speaker of the House of Representatives, Rt. Hon. Aminu Tambuwal was in Aba to commission Umule, MCC and Ehere roads. He also commissioned and inaugurated the new Chima Nwafor road, formerly known as Umuojima Road. Any Aba resident will confirm that these roads were completely abandoned and in an unbelievable state of disrepair prior to the coming of Ikpeazu. 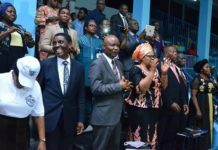 The Presbyterian Church of Nigeria honored Governor Ikpeazu for turning around Ehere road, where one of their church headquarters is located. The road had long been forgotten and their worshippers and indeed, residents of that area were cut off from the rest of the town. Unlike the hogwash by Anayo Okolie, this response makes specific mention of roads reworked by the Ikpeazu administration. The only specific reference to any road by Okolie is a non- existent Aba road. That is not all. For the very first time in Abia State, Governor Okezie Ikpeazu introduced the Rigid Cement Pavement Technology in road construction. This technology involves the use of an underlay of corrugated steel fortified with concrete mixture with an overlay of ashphalt. It is naturally a very expensive method of road construction but Governor Ikpeazu will spare no costs in giving Aba roads that touch of longevity that it requires. This technology was used in the construction of Owerri road, Ochefu road and Weeks Road which had long been commissioned by the governor personally. Roads in the main Central Business Districts of Aba have not been left out in the Ikpeazu “Caterpillar Revolution”. Roads like St. Micheal’s, Hospital, Park, George’s, Pound, etc have all been re- ashphalted to provide road users a smooth experience on the roads. Apart from all these completed and commissioned roads, work has been commenced on several other roads in the Aba metropolis. It is therefore mischievous outright that with all of these road projects completed within the first 18 months of a government and many more still on going, Anayo Okolie still has the effrontery to insinuate that nothing is happening in Aba in terms of road construction. Then the big one! Anyone who is familiar with Abia State as a whole and Aba in particular will appreciate that one of the most critical roads in the town is Faulks Road, which is the major road that leads to the multi-billion Naira Ariaria International Market. Constructed in the early eighties by the civilian government of the late Sam Mbakwe, the road has suffered decades of abandonment and has defied all governments – military and civilian – even from the old Imo State, since then. The road has, over the years, become synonymous with massive flooding because of the effects of the IFE OBARA WATER BASIN around the Ukwu Mango Area of the road. Governor Ikpeazu made a commitment to fix that road and tackle the flooding challenge permanently. In fulfillment of this commitment, the biggest road contract in the state was awarded to construction giants, Messers Setraco Nigeria Limited. Apart from a comprehensive rehabilitation of the road, the contract also covers the laying of several kilometers of pipelines to channel flood water from the IFE OBARA BASIN to the Aba River. No administration from the old Imo State had ever conceived any intervention of this magnitude on that road. As we speak, the contractor is on site working. The Governor was on that road a few days ago to inspect the progress of work. 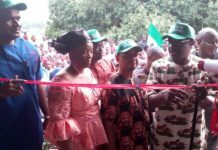 Again, this information is verifiable and contrary to the article, the traders at the Ariaria Market and environs are in high spirits as the road construction progresses. When one juxtaposes what is ground and the mischievous distortion from Anayo Okolie, it is clear that the writer does not even know where Aba is. If he did, he would not make reference to a non-existent Aba Road in his convoluted and badly written article. There is no road known as and called Aba road anywhere in Aba. Of course, all the people whose names he mentioned exist only in his unstable imagination. There is no way anyone, even the most virulent critic, will ignore the massive projects that have been undertaken in the town. His allusion to the legislative assessment done by the state legislature and the call on the federal government was in respect of federal roads in the state. Unknown to Anayo Okoli, there are two major federal roads which serve as key roads in Aba. Aba- Owerri road, Port Harcourt road and Ikot Ekpene road – they are properties of the federal government. 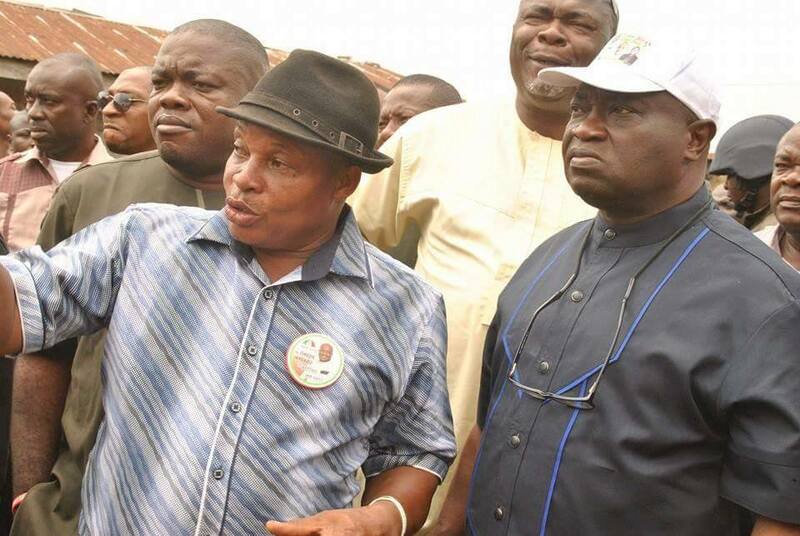 Their abandonment by federal authorities has brought untold hardship to the people of Aba. Currently, the Abia State Government is constructing massive drainage channels on Aba Owerri road while talks have reached advanced stages with the Africa Development Bank for collaboration in the rehabilitation of Port Harcourt road. Okolie’s allusion to the complaints of a shoemaker is very instructive. Shoemakers in Aba have been the biggest beneficiaries of the Ikpeazu government. 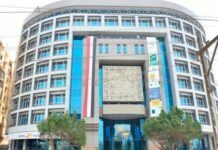 Apart from the ongoing Faulks Road project, which also leads to the Aba Shoe Plaza, the project for the rehabilitation of Samek Road, which is a key shoe making area will start soon. 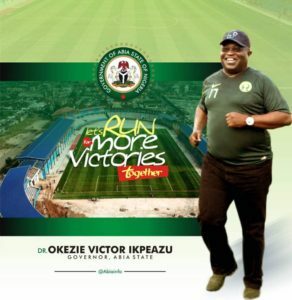 Perhaps, the biggest legacy of Governor Ikpeazu to Aba Shoemakers is that he has personally taken the assignment of marketing the Made in Aba shoes and clothes to the front burner of national discourse. Apart from wearing them, the governor has constantly engaged the federal authorities on the need to turn their focus on Aba products. He has engaged the top apparatchik of the Nigerian Military and is prevailing on them to start producing their apparels in Aba. He took the same message to the high command of para- military agencies and the NYSC. This is the first time this is happening in the history of our state and the efforts are beginning to yield fruits. Today, there is a definite order to produce an initial fifty thousand pairs of boots for the use of the Nigerian Army in Aba. The efforts of the governor in this direction has caught the attention of former President Olusegun Obasanjo, who recently praised the marketing efforts of the governor and placed an order for the Aba shoes. Senate President Bukola Saraki had long endorsed the Made in Aba products and assured that the Senate will amend the Public Procurement Act to give local manufacturers the right of first refusal when it comes to public procurement. Of course, no shoe maker said anything to Okolie. In the final analysis, we make bold to state that while there are great rooms for improvement in the condition of roads in Aba, it is downright criminal and mischievous to deny what has been achieved already within such a short time. One thing is sure. The paymasters of Mr. Anayo Okolie obviously chose a very bad and ignorant person to carry out their hatchet job.